I received a goodbye mail from Orkut yesterday, the first social networking site I had bungee jumped into sans any strings attached to my teenage feet. Having failed to keep itself as popular as other sites, Orkut was shutting shop and with a letter titled ‘Farewell to Orkut’ I was being invited to collect half my virtual lifetime’s worth of archives to store in a Zip folder and preserve, perhaps, for a day when it will seem antiquated enough to be material for personal museums. Or maybe, because some of us have memories all hues attached to our presences, our identities and our relationships on that site, and which deserved space in our present and our future too. I do. And to be honest, Orkut’s retirement has saddened me. Not that I have been there in the past few years. I live on Facebook, where most of us do now. So, much like an infidel, I too have found greener, more fun pastures to work and network through; enough to gradually forget passwords once created by a much younger mind and beyond the memory of this older one. But you know how, so often, certain objects no longer as significant as they were in our past lives get pushed back into drawers only to be found on a spring-cleaning day, or when a serendipitous reminder of it from unseen hands drops into our letter box? That is what happened yesterday, for that farewell Orkut letter in my inbox came like a steam engine roaring me awake to stories I had become too busy to even think back about. Of how my friends removed all Capricorn cobwebs from my old-fashioned mind and conspired to open my Orkut account for me. I needed to be where it’s at, according to them. Over guffaws and word-play a password was decided which I noted down, oh fear of forgetting and stupidity combined, on the front page of a diary – like a label we fix on a child’s almanac in bold red. Thankfully, a kid brother is called exactly that for a reason, and my giggly girly life and times on Orkut continued without prying eyes, till the password acquired maturity of thought, and my practices on the site grew away from child-like curiosity to a carefully contained way of expression becoming of a 20-something. Thankfully, by then I had met enough new people to call friends, joined the requisite communities of schools and colleges and bribed enough with cuppas to write glorifying testimonials for me. Thankfully! Because somewhere around that time, I met my husband. On Orkut. A crazy coincidence of a common friend spotting me in our hometown later he sent me a ‘scrap’, one which he refuses to acknowledge even today, putting on me the ‘blame’ for having sent a friend request too, which actually, he did. I swear! But we were in each other’s lists now. All else (and everyone else too, much to their chagrin) lay forgotten as my Orkut time flowed like a river towards him, and him alone. We made up for all the kind of talk we never did when we continued prudes in school together, stealing glances but mostly squabbling over assemblies and toilet duties. Over messages and comments, we discovered each other, and how we had grown away from what we were. Some Suns later phone numbers were exchanged, and a quickly planned cup of coffee too. After four cups of which, during which time we kept falling a little more in love, we got married. So clichéd, but true! Of course, the wedding ceremony was not on Orkut. Which reminds me, we turn seven in a few days. And the timing of bye-bye Orkut knocking on our marriage anniversary date brought back memories tinted pink, and also, a lump in my throat. So strange, but true! There is more brouhaha about social networking sites than genuine ha-ha on them now. Established researches as well as those born out of a day’s mood advice, almost implore us to not be tempted to remain online too long, cut ten hours to five, five to two, or leave, deactivate and never come back to live a longer, wrinkle-free life. Schoolmarms are defining ‘optimum’ usage, mothers of under-age users ‘the right behavior’. And I agree, for there can exist a dark underbelly to updates shared and relationships forged, or forced, in spaces like FB. And it gets tiring. Exhausting, to keep the hellos up and smiles aglow. And hurtful to learn that what seemed real was just fluff for another. For if forged and forced begin with an ‘f’, so does faked. After more than a decade of enjoying my virtual networks, how unfortunate that days preceding this post shows me how true this is. And then I wonder to myself how is it that I continue so happily socially networking, never annoyed with another’s over-doses or wary about my own? Meeting people, making friends, tooting my horn and tom-toming like an over-immune-to-censure cheer girl too? Is it because I believe good things become better and dreadful things less dreary when shared? Yes. Or does FB take away the lonely from alone days and thus gives me company? That too, yes! But most of all, as I sit and seek answers to inexplicable behavior patterns in my virtual life which never reared their heads in the days of Orkut, I wonder. I wonder if we other our evils as we blame a website like FB for ruining relationships, and not ourselves for never having genuinely meant to forge them. I wonder if nonchalance and intolerance towards another on www is a photocopy of our attitudes outside of it. I wonder too if the excuse of ‘familiarity breeds contempt’ through four albums of a friend's holiday pictures online was relevant in days before the internet when people lived not just like next door neighbours but as family too, crossing over rooftops to borrow dry red chillis or cups of sugar. And I wonder if we want to walk an extra mile to keep, to preserve bonds which do for sure get formed, or lose them all to what fashion asks, lobbies demand, or the queen of a club commands! Gone are the days of gay abandon and fuss-free minds that Orkut stood for, for me. Of interest in interesting people, or boring boredom itself away. Of a virtual avatar whose behavior no one measured in a petri-dish. Of finding strangers who became permanent friends and translating a foe into a husband. Perhaps, once upon a time we bothered to make amends. To make peace. Talk, hammer, order, order, objection sustained or over-ruled, but sorted! Whereas today, we simply press ‘delete’. And right after that, sign a declaration proclaiming the 101 ways in which FB could be your death. I will miss Orkut. Perhaps, this wedding anniversary I will get that O-shaped cake to cut which our friends almost got for us then. For now, time to download a truck-load of the best online memories to pickle and preserve, for even they are changing shades as time goes by. Imagine what magic the aroma will create when my son opens the lid, someday! Utterly delightful! Nice to know where your love story began! I was on Orkut, but hardly there, and have completely forgotten all possible passwords. I don't remember Orkut being about numbers, Sid. With 8 testimonials and 80 friends, and no intention to tick off hits and likes, I really had a freeing time there. I hear what you say about FB. With 900 people in my list, I do think I still have 80 friends only. :) It gets as intrusive as we will it to, and we can be as detached as our will power helps. Download your memories. They will be like B/W pictures in our parents' wedding albums for our kids soon! Really soon! Many thanks for stopping over and giving me a peek into your story too, Seeta. Delighted to know they provoked you to think. While I have no answers, I am glad I have such questions in my mind. Keeps me in touch with my own self. 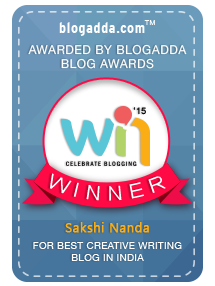 Sakshi, your post prompted me to write about our virtual friendship. WinPopUp (the LAN Messenger) and Rediffmail are entirely responsible for our controversial wedding. The me that I was from an extremely conservative Keralite family, I never accepted his coffee invitation which he complains till date. :-) Memories are such wonderful ways of bringing the relationship alive. And about the 'delete' without even sharing the reasons: it actually says a lot about the personality of the individual. Somehow, I never bother much about such 'friendships' for I know they're fake and will not stand the test of times. Virtual will always be virtual, unless you're true to yourself. It helped that he was fond of buying books, and that my office was inside one and next to Barista. Sometimes, life works our wonderful coincidences for us. I guess I have learnt my lessons too. Not that a few rotten eggs will spoil my Life and Times on FB for me. Thanks, Reks. You mean a lot to me! I have made some very beautiful friends over orkut and fb etc and now blogging albeit Virtual .. so i have no qualms .. but as Rekha says above .. if you are true to yourself then its all fine ..
Another school friend does sound like an OUCH moment, B. Sorry to hear that, but I am sure things changed for the better! The virtual world is but a reflection of our real worlds. How different can we be offline from how we are online? I like how you put it. 'So does real life', indeed! Thank you for being my regular, Bikram! That's a big coincidence Gal. Here I was planing of writing about Orkut making a big difference in my life and found your post and am glad it brought such happiness to you. Orkut will certainly be missed by us. Write your side of the story too, Namrota. I would love to read it. :) How about compiling them, Bhavya? Would love to read. Orkut seems to have meant something to a lot of us. Oh ya Orkut held together lot of memories. I archived my account yesterday and it made me relive each moment again. Good to see you back, Jas. Great to know that you still keep an orkut account. I deleted my Orkut profile long back. Good to know that your love story also has an Orkut connection. Social networks has become a part of our life from the time of Orkut and its sad to see Orkut leaving us. But I think there will be much more stories if Facebook plans to shut the shop! Well, I kept it but didn't use it at all. 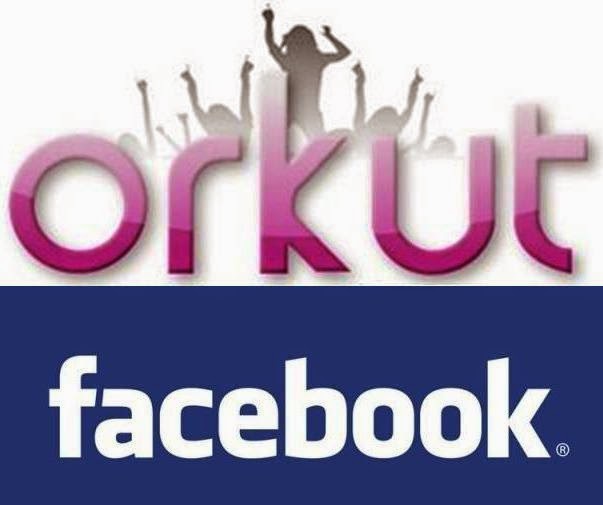 Orkut has touched the lives of many of us and surely my networking started there, ya Facebook just stormed in and I completely forgot orkut. A post which i have to say is straight from your heart. Hey happy lucky seventh wedding anniversary and looking forward to the pics of the O shaped cake. Their cucumber water drink had an amazing taste, and it was because the cucumber was fresh. They also serve extremely delicious food. Thank you, Reema. Good to see you here! Good to see you here, and thank you for reading, Roshan! Congratulations on your 7th and glad to know that social media can contribute to the building of sustainable relationships! We make the social media. It will contribute the way we want it to. I do believe some very beautiful relationships can be found and maintained there. What a warm post, Sakshi! I guess it was the first platform where we found our long lost friends for the first time. Many thanks for stopping over. Would love to get ur views. Also, M doing a novella for UBC Challenge with orkut as the backdrop and ur love story seems interesting. Can I borrow inspiration? Will hop over and read your post too, Vishal. Thanks a lot!